Through the support and generosity of individuals like yourself, our programs have been able to save thousands of babies and assist countless women including pregnant, homeless, and impoverished women, to better their lives. Thank you for your compassion! $25.00 – Pay for a Hotline Kit for desperate pregnant mothers. $30.00 – Operates the Gift of Hope sonogram center for 10 minutes. $35.00 – Shelters a mother and baby for 1 day. $50.00 – Buys a food gift certificate for a Special Family in need. $100.00 – Helps pay for part of the foundation of our International Gift of Hope clinic in Uganda. $100.00 – Feeds the homeless women at Ladies Rest Day Shelter. $125.00 – Sponsors a young person for “A Guide to A Godly Life” Retreat. $150.00 – Provides educational opportunities for a young mother. $180.00 – Operates the Gift of Hope sonogram center for 1 hour. $200.00 – Feeds the homeless women at Ladies Rest Day Shelter for one day. $245.00 – Shelters a mother and baby for 1 week. $400.00 – Buys a food gift certificates for a Special Family care package. $450.00 – Provides transportation and books for further education for a young mother. $500.00 – Helps to pay for medical equipment at our International Gift of Hope clinic in Uganda. $625.00 – Sponsors 5 young people for “A Guide to A Godly Life” Retreat. 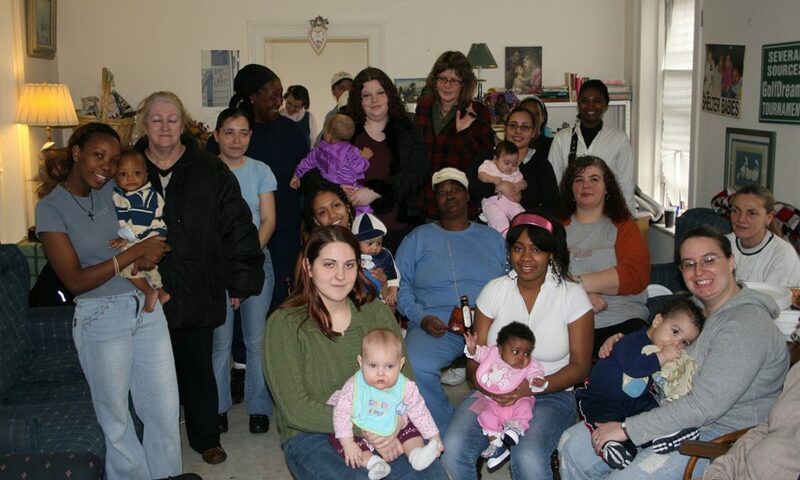 $1,000.00 – Feeds the homeless women at Ladies Rest Day Shelter for one week. $1,050.00 – Shelters a mother and baby for 1 month. $1,440.00 – Operates the Gift of Hope sonogram center for 1 day. $1,900.00 – Helps a Special Family in need with electricity, heat and rent. $2,000.00 – Helps to pay for construction of one of the rooms in our International Gift Hope clinic in Uganda. $4,000.00 – Provides a scholarship for a mother pursuing her college degree. $7,200.00 – Operates the Gift of Hope sonogram center for 1 week. $12,600.00 – Shelters a mother and baby for a year. Several Sources Shelters is registered as a 501(c)(3) non-profit organization. Contributions to Several Sources Shelters are tax-deductible to the extent permitted by law. Several Sources Shelters tax identification number is 22-2368-937. Through the support and generosity of individuals like yourself, our programs have been able to save hundreds of babies and assist many, many women to better their lives. Thank you for your compassion! If you are using a credit card, please make sure you sign the required authorization before mailing the form. We will be happy to help you make a donation by phone, or assist you with any questions that you may have about other ways of donating to our programs. Shop on Amazon Smile and Amazon will donate to Several Sources Shelters on your behalf! 2. Sign in and Choose Several Sources Shelters, Inc. The screen will look slightly different depending on whether you’re already signed into Amazon. Simply search for “Several Sources Shelters” or Click here to go directly to the Several Sources Shelters page. Proceed to step 3. After signing in, search for “Several Sources Shelters”. When you search for a charity, such as “Several Sources Shelters,” you will be given a list of possible matches. Select the charity of your choice to continue. Once you’ve selected your charity everything else functions the same. Shop for your favorite products or the perfect gift. Most products are eligible on Amazon Smile–if not, you’ll be notified. You can checkout normally as well. No extra cost is passed onto you–Amazon will donate 0.5% of your purchase to Several Sources Shelters! We applaud Amazon for their efforts to support charities. We hope you will take the opportunity to support Several Sources Shelters with your eligible purchases on smile.amazon.com. Need more help getting set up? Visit the Amazon Smile help page or call their customer support at 1 (888) 280-4331 and tell them you want to support Several Sources Shelters Inc.
"Whatsoever you do to the least of my brothers and sisters you do to me. "